In order to provide standardised information on fuel efficiency, wet grip and external rolling noise, the European Union is to introduce a compulsory label for all new tyres. By November 2012 all relevant new tyres sold in Europe must carry this EU label. 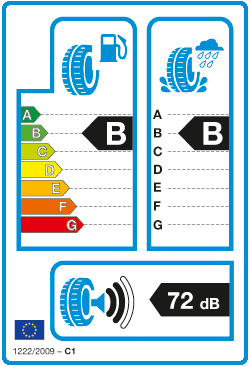 The label is intended to give end-users some essential information to help them when choosing new tyres. Fuel efficiency is important to reduce both CO2 emissions and the cost of driving. The grades are A to G, with D not being used. 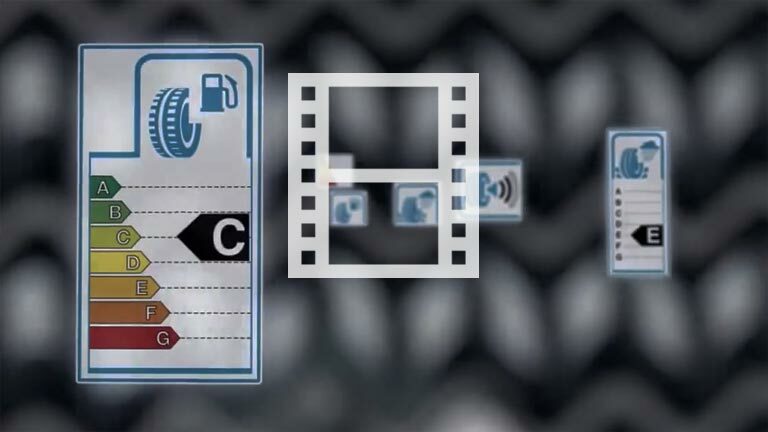 The difference between each grade means a reduction or increase in fuel consumption of between 2.5%-4.5%. That‘s a difference of about 0.42-0.56 mpg for a 36 mpg car per grade. Wet grip is a critical safety feature and relates to the tyres ability to stop a vehicle quickly on wet roads and can be expressed in terms of stopping distance. The grades are A to G, with D and G not being used. The difference between each grade means an increase or decrease in stopping distance of between one to two car lengths (between 3 and 6 metres) when braking from 50mph. This is the external noise made by the tyre and is measured in decibels. The more black bars shown on the label, the louder the tyre. The new label is designed to show information regarding 3 criteria, however there are many other important performance factors to consider. Widely published tyre tests take at least 11 further relevant performance factors into account (see table below) and therefore continue to be an excellent source of independent information regarding the total performance of a tyre.